The Misadventures of Wrong-Way Corrigan. Even when a Texan is wrong, he is right. 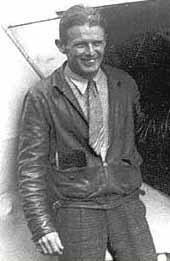 Take, for example, famed Douglas Corrigan, a brash and errant aviator, who tried for years to get permission to fly from New York to Dublin. "No," said aviation officials, "it's not safe for you to fly over water but instead, we give you permission to fly from New York to California." Corrigan finally took off in heavy fog and his jerry-built, patched-up, personally modified Curtiss Robin plane quickly flew into the foggy haze and was soon out of sight. 28 hours later, he arrived in Dublin. Corrigan claimed it was a "navigational error." Whatever it was, he got to his dream destination and didn't even mind it when newspapers dubbed him "Wrong-Way Corrigan, a moniker that would stay with him all his life. Douglas Groce Corrigan was born January 22, 1907 in Galveston, Texas, to an engineer and a teacher. After his family moved to California, 18-year-old Corrigan paid $2.50 to be taken for a short flight in a Jenny bi-plane (Curtiss JN-4). He later said that he looked back on that day as the most important of his life. He began taking flying lessons a week later, studying airplane mechanics in his spare time. He got a job as mechanic for Ryan Aeronautical Company, which had once owned the airfield where he learned to fly. At work one day, Corrigan saw his boss talking to a tall young man who wanted to test fly one of their planes. "This is that fellow from St. Louis that wants to fly from New York to Paris," said a worker. Corrigan took another look at the lanky young guy and said, "Gosh, he looks like a farmer. Do you suppose he can fly?" Turned out that young Charles Lindbergh had wired Ryan Aeronautical asking if they could build a plane capable of transatlantic flight. Yes, they said, it could be ready within two months, and would cost $10,000. Lindbergh went to California to check out the factory, and they got the job. Corrigan actually helped build The Spirit of St. Louis, making the wing assembly, and installing the gas tanks and instrument panel. With a colleague, he also helped increase the aircraft's lift power by extending the wings. And to top that off, he was the one who pulled the chocks from The Spirit of St. Louis when Lindbergh took off on the first leg of his historic flight (San Diego to New York). Ryan Aeronautical moved its operation to St. Louis, but Corrigan remained in California and got a job with the San Diego Air Service's Airtech School, because he got to fly on his lunch hour. He loved doing stunts like chandelles  steep, climbing turns  and he started doing them as soon as the plane left the ground. Other fliers would yell at him that he was crazy, but he just gave them an innocent smile, saying, "I didn't think it was dangerous." Soon though, Corrigan was forbidden to stunt fly in company planes, but that didn't dissuade him. He simply stopped doing it near the airfield, instead flying down to a small field near the Mexican border. Even then, he wouldn't, or couldn't, take "no" for an answer. It was that attitude that would eventually make him a part of American pop culture. After barnstorming with a friend in small East Coast towns and talking folks into buying airplane rides, Corrigan decided he should buy a cheap plane of his own, a major decision, since he didn't even own a car. He paid $325 for a used Curtiss Robin. "It looked pretty good and flew all right," he said. He flew back to the West Coast a few days after buying the plane, stopping every 100 miles or so to pick up passengers wherever he could find them to make a little extra cash. Once, running low on fuel, and not finding a field large enough to land in, he came down in a field overgrown with brush, damaging the landing gear. Corrigan simply walked over to a nearby farm, grabbed some wood, cut some wire off a fence, and repaired the damage, then borrowed some gasoline from a tractor and took off. Wherever he went, it sounds like Corrigan took a bit of resourceful Texas thinking with him. Another thing he always had with him was a great spirit of adventure. Corrigan decided to give his Curtiss Robin a makeover so he could fly across the Atlantic like Lindbergh. Aware that such a flight might kill him, he also knew it would not be boring. As a tribute to his ancestors, Corrigan wanted to fly to Ireland and toward that end, bought a new 165 horsepower, 5-cylinder engine, and built extra gas tanks specifically for a nonstop transatlantic flight to Dublin. But a federal inspector would only license the plane for cross-country flights. Even then, bureaucracy ruled. Corrigan, however, refused to give in after he was denied permission, and he installed two additional gas tanks. The following year (1937), he reapplied for permission to make the flight to Dublin but his timing was bad; Amelia Earhart had recently disappeared over the Pacific, and no bureaucrat would okay another solo flight over any ocean no matter how many fuel tanks were installed. Today, we think the government interferes too much, and back then, it was the same. 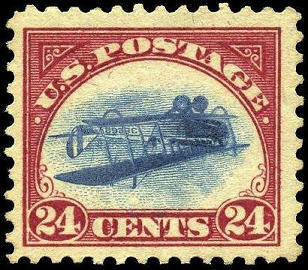 They refused to renew the license for Corrigan's plane, thereby eliminating his ability to fly at all. "It looked like I was stopped now for sure," he later wrote, but even the U.S. government couldn't stop this Texan from completing his destiny. "They can't hang you for flying a plane without a license," he reasoned. "Columbus took a chance, so why not me?" and he climbed into his plane and took off for Floyd Bennett Field in Brooklyn, New York. The idea was to land in the dead of night, avoiding the officials who would have gone home by then, fill all those gas tanks and take off for Dublin on the quiet. To insure good luck, he finally decided to give his plane a name: "So now I put the name Sunshine on the cowling." His plan was in place. Or so he thought. The flight to New York did not go well, and bad weather forced Corrigan to land in Arizona the first day. On the second day, more bad weather forced him to land in New Mexico. Due to continuing weather problems, it took him two whole days just to fly across Texas. Talk about big! After he finally made it across Texas, he had to land in open fields in towns like Arkadelphia, Arkansas; Ezel, Kentucky; and Buckhannon, West Virginia. Nine days after he left California, he finally arrived in New York, where it was, by now, too cold to risk facing the North Atlantic. What did he do? He decided to fly nonstop back to California where government men finally caught up with him, telling airport officials not to let Corrigan fly his plane. Poor Sunshine just languished in a hangar for the next six months, while Corrigan got in flight time in other planes. But he wanted to fly his own plane, so he overhauled Sunshine's engine and took her in for another inspection. This time, Sunshine won an experimental license, and Corrigan was given consent to make a nonstop flight to New York and, if he made it, he had permission to fly nonstop back to California. On that flight to New York, besides more terrible weather, the main gas tank developed a leak. Corrigan merely opened the cabin window and stuck his head outside, "partly to keep awake and partly to avoid the fumes." This kind of determination, plus a strong tail wind, landed him in New York with only four gallons of fuel left. Was it courage or recklessness that Corrigan decided not to bother fixing the leaky main gas tank because repairs would have taken too long? Anyway, he didn't want to take the authorized nonstop flight back to California; he wanted to fly nonstop to Dublin. That was his dream and, by God, he was going to do it. Damn the bureaucrats, full speed ahead. On the same day Howard Hughes was at Brooklyn's Floyd Bennett Field preparing for his own record-busting transcontinental flight while his girlfriend, Katharine Hepburn, waited in Manhattan for his return, Corrigan filed his authorized flight plan (New York to California), filled Sunshine's tanks with fuel, and packed fuel for himself in the form of two Hershey bars, two boxes of Fig Newtons, and a quart of water. He checked the engine by flashlight and was satisfied with what he found; however, the manager of Floyd Bennett Field persuaded Corrigan to wait until first light. At take-off, Sunshine was so weighted down with fuel that she traveled 3,200 feet down the runway before lift-off. Passing the eastern edge of the airfield, she was only 50 feet off the ground. Shortly after that, she disappeared into the fog. 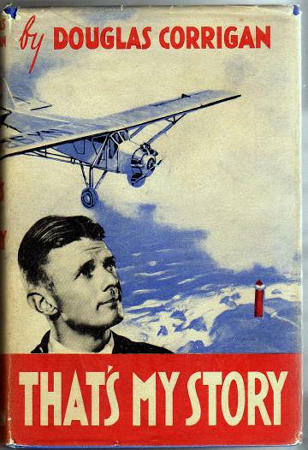 Corrigan's 1938 autobiography, That's My Story tells what happened: Corrigan had been flying east for 10 hours and was somewhere over the Atlantic Ocean when his feet suddenly felt cold. The leak in the gas tank had worsened and fuel was running all over his shoes and onto the cockpit floor. Time was not on his side. The leak was getting worse, and there was now about an inch of fuel spilled onto the cockpit floor. Corrigan was worried that it would leak out near the exhaust pipe, leaving him no chance of survival if it exploded. He had to do something, and fast. Again, his resourcefulness saved him. Using the only tool he had that might work, he punched a hole in Sunshine's floor with a screwdriver, allowing the gasoline to trickle out on the side opposite the exhaust pipe. Yes, he was still losing fuel, but at least Sunshine would not explode. The downside of running the engine slowly to conserve fuel was that more could leak out, depleting his supply, so he decided to run the engine fast instead and boosted his rpms from 1600 to 1900, flying straight ahead, hoping to have sufficient fuel to reach land. Relaxed enough to feel hunger, he wolfed down the cookies and started on a chocolate bar when he spied land, "nice green hills." He had done it. Corrigan had at last achieved his dream. "I got mixed up in the clouds and I must have flown the wrong way," said Corrigan to the Dublin officials who wondered who he was and what he was doing there. He also blamed "two malfunctioning compasses" for flying east to Ireland and not west to California. All the Irish officials had heard from America was that a plane with an unknown pilot had gone missing over the Atlantic. Rather than arresting Corrigan who did not have permission fly to Dublin let alone land there, had no passport, had no entry papers, Irish officials gave him "a spot of tea." When pressed for an answer as to why he was in Dublin and not California, Corrigan said, "It was a very foggy morning." The story of Corrigan's flight and all the attending publicity resulted in his nickname, "Wrong-Way Corrigan," a name that increased his fame, endeared him to the hearts of depression-weary Americans and even a few bureacrats. Together, Corrigan and Sunshine were returned to the United States on the ocean liner, Manhattan. Although he had no papers on the return trip either, the only action taken against him was the suspension of his pilot's license for the duration of his boat trip back to the U.S.
Happily for Corrigan, the rest of his long life was not boring either: Wrong-Way Corrigan endorsed a watch that ran backwards; ran for the Senate; worked as a commercial pilot; wrote his autobiography; appeared as himself on the long-running Goodson-Todman game show, To Tell The Truth; starred as himself in RKO's The Flying Irishman (1939), the story of his wrong-way flight to Dublin; was the basis for a James Thurber short story; was referred to by The Three Stooges in Flat Foot Stooges; was The Rocky and Bullwinkle Show's character Captain Peter "Wrong Way" Peachfuzz, the world's worst sailor; and was portrayed as a Gilligan's Island character, "Wrongway Feldman." Until his death in 1995 at the age of 88, Wrong-Way Corrigan insisted his flight was accidental. Then, at the last minute, he finally admitted that he made his famous mistake on purpose.